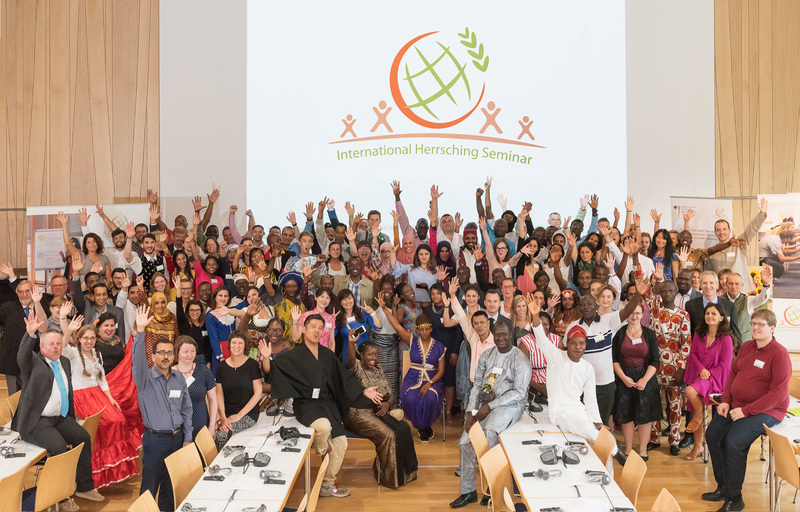 29th Workshop in 2019: "Gaining skills - sharing knowledge - building networks"
Every other year, the Federal Ministry of Food and Agriculture organises the International Leadership Workshop for Rural Youth. It has been taking place for over fifty years in Herrsching on Lake Ammersee in southern Germany. The desire expressed by many European rural youth leaders in the 1950s to build up a permanent training centre for the mutual exchange of experiences and ideas came from a meeting of the representatives of the FAO (UN Food and Agriculture Organisation), UNESCO (United Nations Educational, Scientific and Cultural Organisation) and WAY (World Assembly of Youth) on 22 July 1960 in Paris. There, Germany declared its willingness to establish an International Workshop for Rural Youth Work. Leaders from all over the world were to be given many different forms of support and provided with ideas for the further development and strengthening of rural youth work. Ever since the first event in 1962, all international seminars have been conducted at the House of Bavarian Agriculture in Herrsching (Lake Ammersee) under the patronage of the FAO. Over 1900 participants from roughly 150 countries have attended the 28 international workshops that have been held to date. Important inspiration and concrete ideas for improving rural youth work have been implemented all over the world in the past decades. Unique in the world, this workshop enjoys an excellent reputation in the rural youth movements of all continents.